Paper size: 57 x 76.5 cm. / 22.4 x 30.1 in. Image size: 29.5 x 65.4 cm. / 11.6 x 25.7 in. Additional Information: This lithograph in colours is hand signed in pencil by the artist “G. 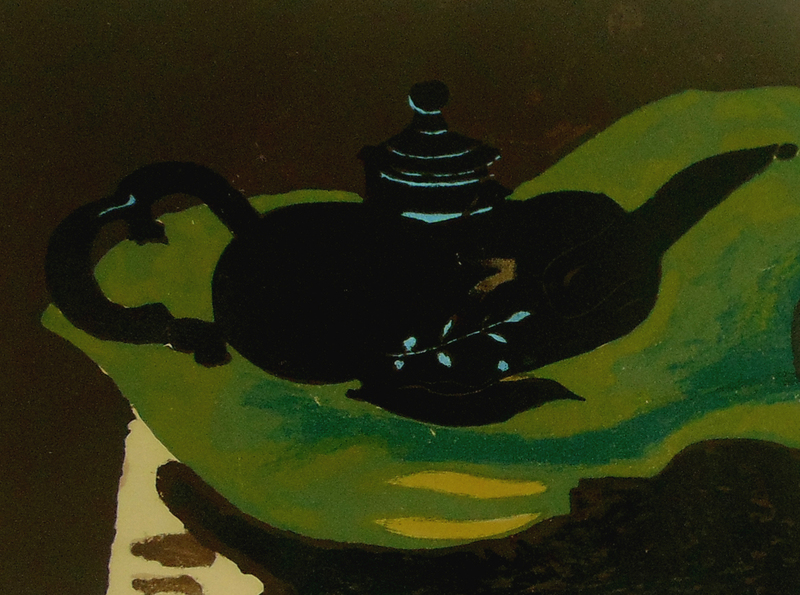 Braque” at the lower right margin. 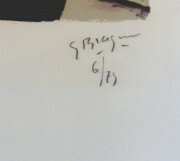 It is also hand numbered in pencil from the edition of 75, at the lower right margin. There were a further 20 impressions printed on Vidalon paper. It was printed by Fernand Mourlot, Paris and published by Maeght Éditeur, Paris. The paper bears the Arches watermark. 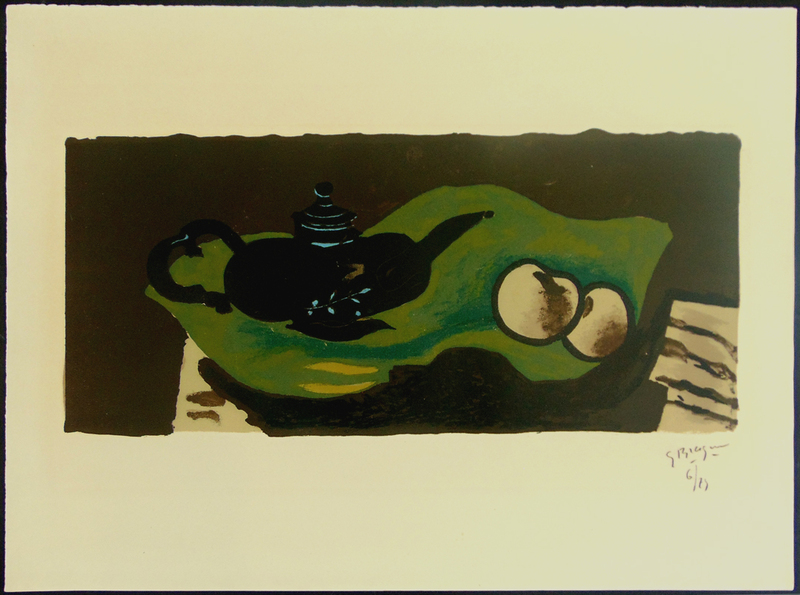 This subject was considered by Braque to be a turning point in his approach to lithography. He had moved away from the line drawn on stone style he had previously adopted and now was attempted a more painterly approach. 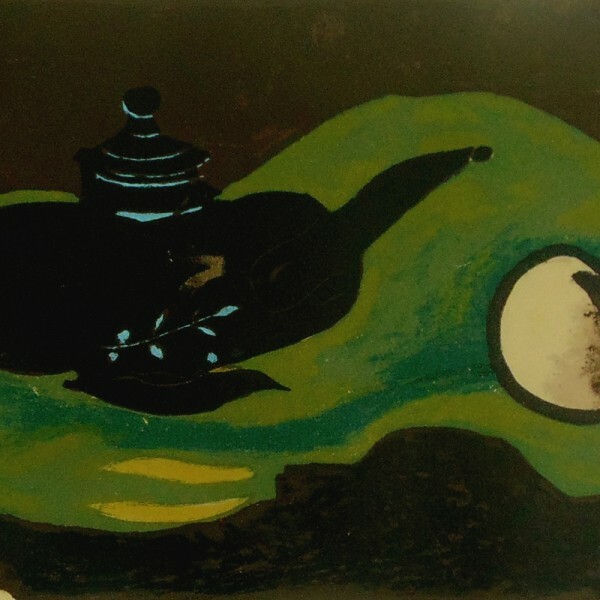 The composition resembles that of an oil painting Braque had painted four years earlier and which was in Picasso’s personal collection. Condition: Very good condition. Very pale, unobtrusive time-staining around the image.